Definition at line 20 of file QueryParam.h. Definition at line 24 of file QueryParam.h. Definition at line 23 of file QueryParam.h. Definition at line 27 of file QueryParam.h. Definition at line 28 of file QueryParam.h. References operator=(), pack(), QueryParam(), and unpackValue(). 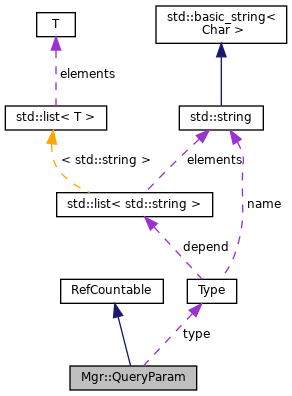 Implemented in Mgr::IntParam, and Mgr::StringParam. Definition at line 37 of file QueryParam.h. 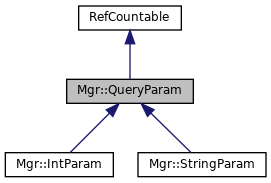 Referenced by Mgr::Inquirer::applyQueryParams(), Mgr::IntParam::pack(), and Mgr::StringParam::pack().